She will want to ride the waves wearing this Oscar de la Renta Childrenswear® Floral One-Piece Swimsuit. Floral print throughout with striped trim. 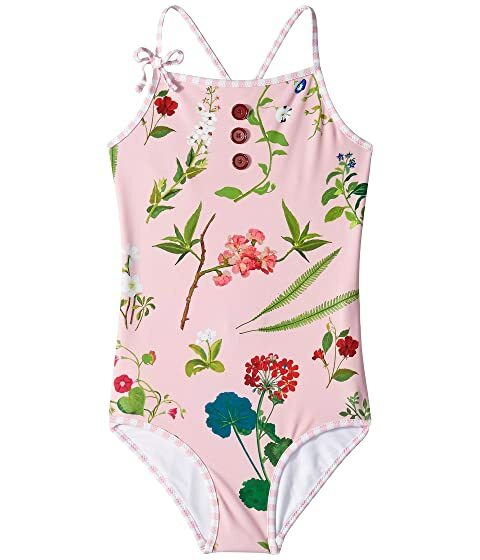 We can't currently find any similar items for the Floral One-Piece Swimsuit (Toddler/Little Kids/Big Kids) by Oscar de la Renta Childrenswear. Sorry!